BudgetAwnings.com where the world comes for the #1 selling affordable Sunbrella® fabric covered awning that provides solutions to all your sun protection needs. Sunbrella retractable canvas awnings can be used as a patio awning, deck awning, window awning, patio cover, rv awning, motorhome awning and a commercial awning. 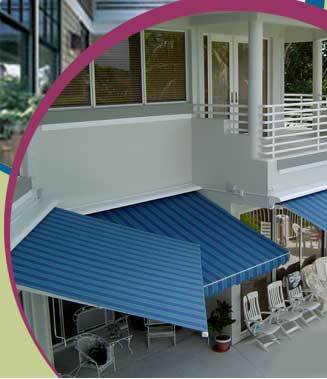 All awnings are made using Sunbrella® solution dyed acrylic fabric -- the #1 selling awning fabric in the world. 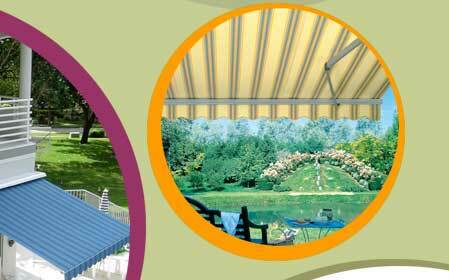 The retractable awning cover is not vinyl or polyester or cotton. All of our awning arms use double pvc coated cable systems. We offer a 6 year non-prorated awning frame warranty. Our exterior awning shading systems are easy to operate, maintenance free and self-storing when not in use. BudgetAwnings.com uses only the finest materials available from around the world to produce truly superior retractable awnings and patio covers for your home or commercial building. The company's owners have been in the patio cover and retractable awning industry for many years and provide a wealth of experience to our customers. 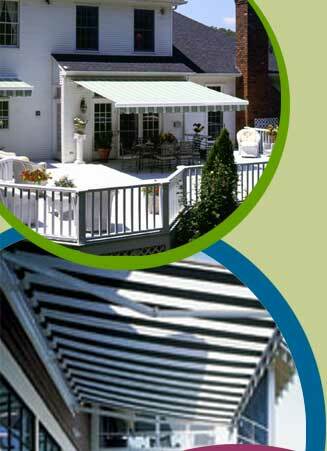 Contact Budgetawnings.com today for information on a quality retractable awning or one of our patio covers!